And Here We Go! 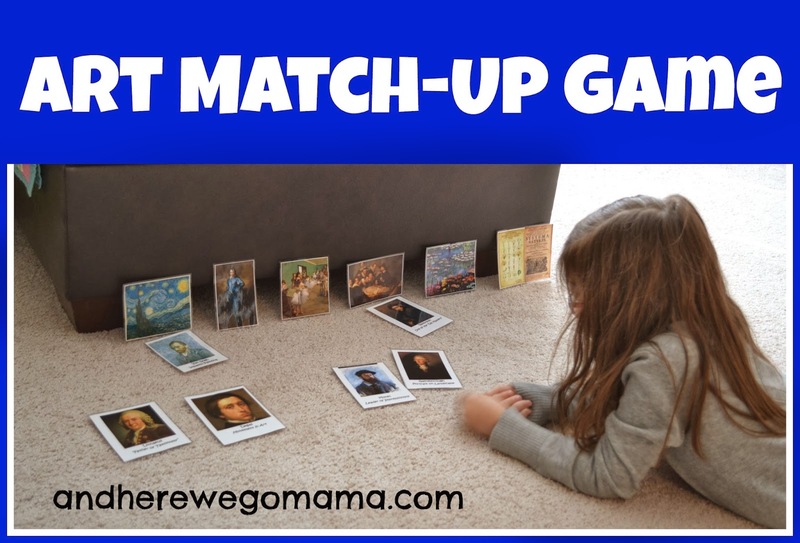 : Art Match-Up Game! Quick and easy; that's how we like to do things now. However, since we do live in the real world, not many things fall into that 'quick and easy' category. This Art Match-Up Game, however, fits the qualifications quite nicely, in my opinion. Match the artist to his or her works. I searched for hours on the internet to find just the right pictures of the artists and their best-known works. Then I worked some more in PowerPoint to create the beautiful pdfs to download and print. Oh, and as an added bonus, I made the artists match our CC Cycle 2 artist list. Whew, am I tired! Colleen at Sola Gratia Mom created a fabulous resource to go along with the artists we're studying for Cycle 2! Thanks, Colleen! 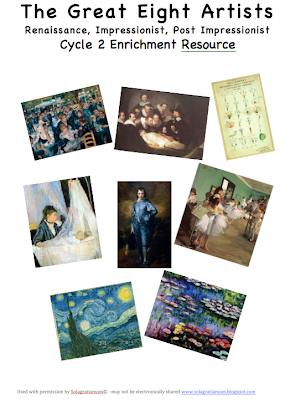 The Great Eight Artists has flashcards (with great info. on the back!) of the artists and their paintings. I cut them out, laminated them, and Mary matches them up. This takes about five minutes, sometimes a little longer if we talk about the paintings in detail. However, I'm just going for recognition and memorization right now, so we don't go too deeply into the works. 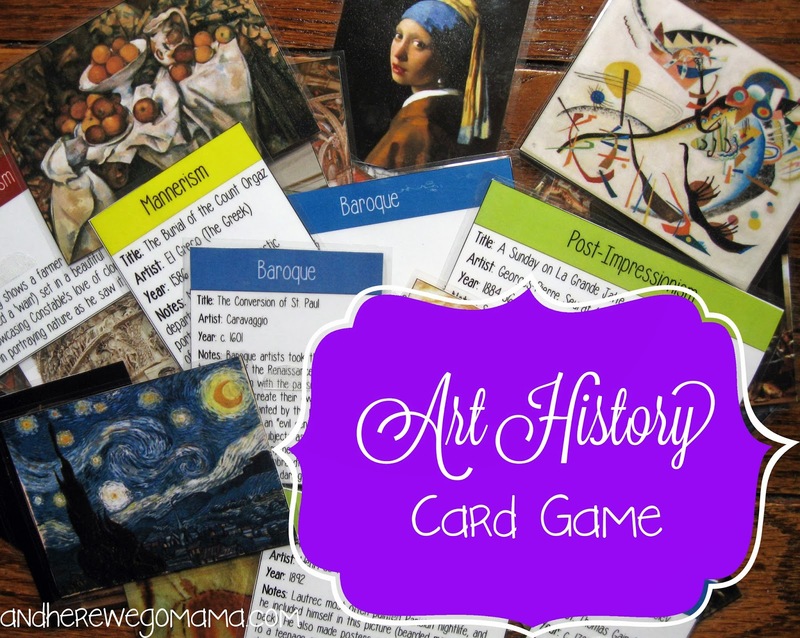 I've also added a few more works from my Art History Card Game for her to match with the correct artist. It seems to be a hit, so we'll keep this up, adding more artists and works as we go. The Great Eight Artists resource also has tons of other goodies (excellent vocabulary list, notebooking pages, etc.). We mainly just use the flashcards right now, but I've saved everything else for when Mary gets a little older. It's awesome! This post is linked up with Sola Gratia Mom's Wonderful Wednesdays! I was given a complimentary copy of the artists resource in exchange for an honest review. It's pretty awesome, and that's my review in a nut shell. ;) Thanks for reading the fine print! You are so awesome, girl! Love it! Thank you too, by the way! Hugs!